I can say with great pride that I have never seen a more engaging event than this year’s Honored Citizen Dinner celebrating Mark and Ann Edlen. The enthusiastic crowd of over 750 guests contributed to the energy and success of the event, and we couldn’t be more grateful. This year’s dinner featured some exemplary Oregonians who paid tribute to our honorees – Michael Schill, Dr. Joseph Robertson, Mark Goodman and Rukaiyah Adams – and a video that touched on the high points of the Edlens’ contributions to the built environment. AFO is guided by the strong belief that “impact” should be the driving force behind all our choices. We raised over $170,000 to enrich our impact in communities across Oregon, helping AFO do the things we do best: inspire, engage and educate . Special thanks to our Event Sponsors - DJC Oregon, Gerding Edlen and Hoffman Construction - and our Sustaining Sponsors - Downtown Development Group, Peter & Julie Stott Foundation and Turner Construction - for partnering with us to make this event more successful than ever. We are privileged to live and work in Oregon; it is a special place. AFO helps keep this place special by fostering the next generation of building professionals and community leaders who will impact our world. Weren't able to celebrate with us at Honored Citizen? Check out the event night photos and the video produced by Magaurn Video Media on our honorees. Oregon architecture students, we invite you to apply for the 2019 Hatfield Architectural Award honoring commitment to community service and design excellence. The $4,000 award will go to an undergraduate or graduate student enrolled in an architecture program at Portland State University or University of Oregon. Last year we awarded Lisa Patterson, graduate student at Portland State University (pictured above), for her exemplary artistic and technical skill, and for her dedication to serving the community through design - her work for the Kenton Women's Village being one example. The recipient will be part of a diverse and engaged community of Hatfield Scholars who now make up some of the most dynamic leaders in the industry. Please help us spread the word about this opportunity to Oregon architecture students. Call for Salem Design & Building Professionals! We have seen such tremendous support for our Architects in Schools program this recruitment season, and would like to thank you for any part you played in helping us secure volunteer design and building professionals across the state. But, we're not done yet! We are still short of design and building professional volunteers in the Salem area. Below i s a list of schools that still need volunteers. Please consider applying and/or encouraging someone to apply so we can serve these schools. 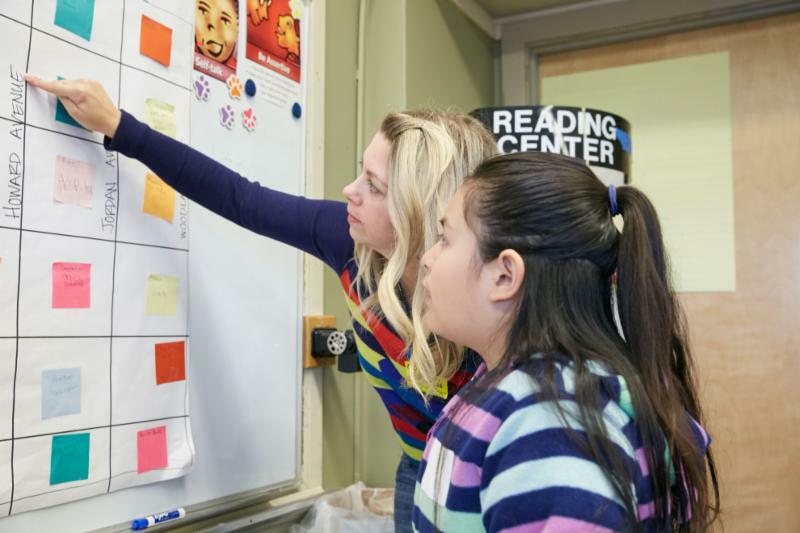 This is your chance to ensure that students in both rural and urban communities across the state are receiving design education. Design & Building Professionals, Apply ASAP! Founded in 1984, TVA Architects is a Portland-based firm of 38 architects, designers, and staff. TVA is currently engaged in a thoughtful expansion plan, allowing the firm to provide consistent and dependable ownership and firm stability far into the future. 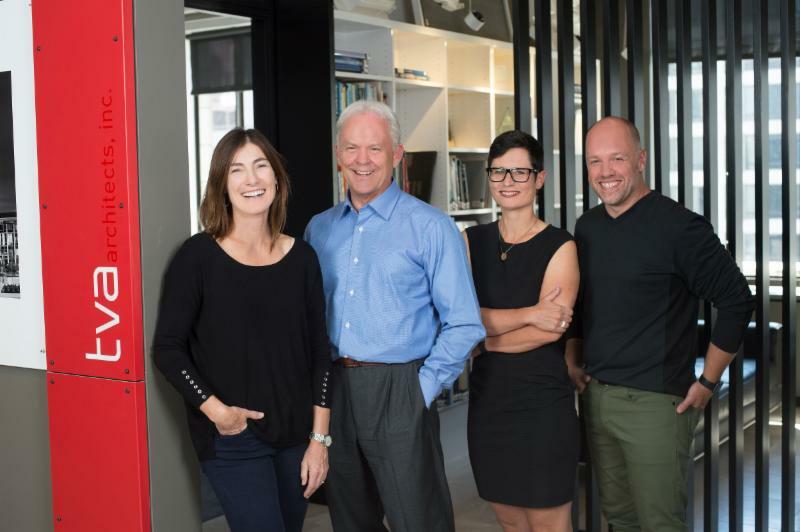 The principal group includes founding principal Robert Thompson, FAIA; Tim Wybenga, LEED AP; Pam Saftler, AIA, IIDA; and Mandy Butler, RA, AIA, NCARB. Does each principal have an area of interest/focus? 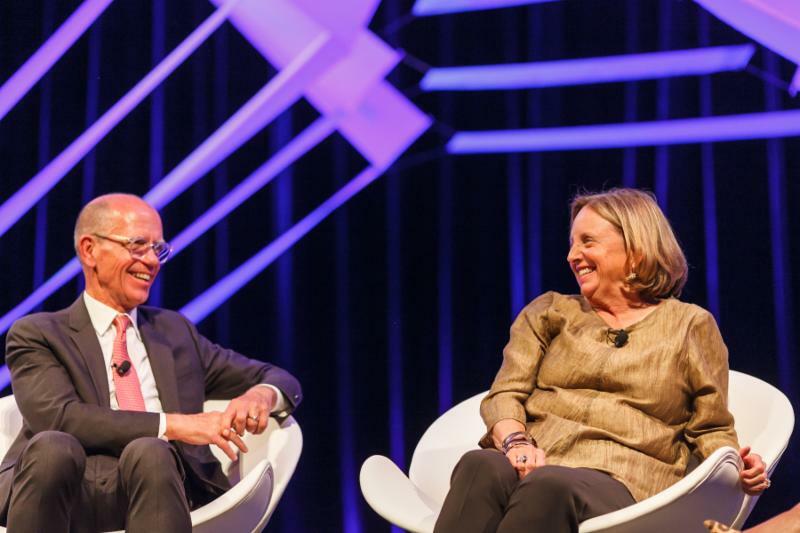 Pam Saftler, AIA, IIDA: Of course! We each have unique talents and specific knowledge gained from long careers in this industry. And through those experiences, we each have found different market sectors that really resonate with us. Mandy knows healthcare and lab planning inside and out. Her insight, compassion and authentic desire to change people’s lives can be seen in everything that she does. My passion for adaptive reuse stems from the knowledge that limited resources and energy are lost when we demolish old buildings for new. Tim attributes his success working in developer-driven markets to a client-first perspective. Bob has worked in practically every market sector and continues to find his greatest joy in creating meaningful architecture from high rise towers to corporate campuses to major athletic venues. Explain how you are handling transitions within the firm, and how this has changed the way you do business. Tim Wybenga, LEED AP: We have been on a leadership expansion course for a number of years and the current four principals have been working as a unit since 2014. We have learned to operate as actual partners, each with an equal voice and a unique perspective. We have made a concerted effort to spread the responsibilities for day-to-day management of the firm between the four of us. The fact that we continue to work on evolution and expansion rather than 'transition' of the firm has been key to our ability to diversify while maintaining the integrity and quality of the firm's portfolio. It also helps that we like each other and love what we do—there's really no firm structure that can replace that as a factor for the quality of life or the quality of our work. Robert Thompson, FAIA: Since our inception our success has been driven by strong leadership committed to executing our work at the highest level. From design to project delivery, our driving goal has been focused on exceeding at every level our clients’ expectations no matter the scale or the project budget. This level of commitment has proven out for us in that 70% of our business comes through long term ongoing relationships with our clients. As a group of four, we share firm responsibilities through meaningful internal collaboration focused on continually seeking ways to perfect our business through enhanced design, project management and expanding our markets. What are some challenges you are facing as a firm and how are you meeting them? Mandy Butler, RA, AIA, NCARB: Everyone in our AEC community faces similar challenges, particularly how to do more with less, specifically less time and money while still delivering an excellent product through a positive process. We pride ourselves on providing thoughtful solutions to every design challenge. We also work to leverage technology to reduce time spent on repetitive, non-architectural tasks, allowing us to shift that time to improving design and quality. We know that our success depends on how well we function as a team. We don't shy away from sharing our thoughts, even when we have conflict because we have respect for each other and know that we're all working toward the same goal. All events are free and open to the public unless otherwise noted. Send your design events to candice@af-oregon.org to be included in our newsletter. afo retains the right to determine all content. Want more design events? Want to avoid scheduling your event on top of three others? 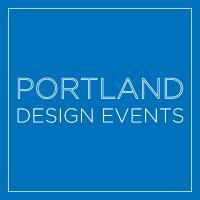 Visit Portland Design Events. Huge thank you to everyone who donated to AFO at our 2018 Honored Citizen Dinner on October 9. Thank you to the following individuals who have made additional contributions to AFO this past month. For those who wish to contribute, follow this link to renew or initiate your AFO membership today.